As the nation commemorates the 16th anniversary of the assassination of Prime Minister Yitzhak Rabin, I can vividly recollect – as though it was yesterday- the shock and anguish that we all experienced when we first heard the devastating news. I was privileged to develop a warm rapport with Rabin who, on my frequent visits to Jerusalem before I made aliya, nearly always found quality time to talk to me. I had a great liking for him. He was a straightforward man whose frankness and impatience with small talk was refreshing. Our discussions in the later stages were largely centered on the pros and cons of the Oslo Accords. Like many others, I felt that Rabin had been sandbagged by Shimon Peres, Yossi Beilin and their group into endorsing a policy that ran completely counter to his instincts and long-standing outlook. As the process developed and he faced increasingly fierce criticism, he became impatient, inflexible and aggressive. I recollect a particularly tense disagreement between us after he referred – in the media – to settlers, whom in the past he had frequently referred to as the salt of the earth, as “propellers”. But contrary to what was frequently alleged, in all my private discussions with him he was never euphoric about Oslo, repeatedly describing it as a “gamble” which he felt obliged to put to the test. “If it fails” he said, “we will take everything back”. In retrospect, I doubt whether he really believed that was possible. 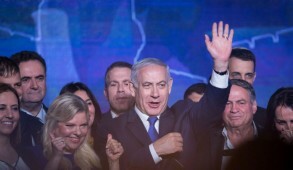 To achieve the necessary Knesset majority to endorse the Oslo Accords, Rabin cynically indulged in political corruption, bribing unsavory opposition members to defect by offering to make them government ministers. But notwithstanding this and contrary to many of his harshest critics, I remain convinced that Rabin always rationalized his actions as being in the national interest. 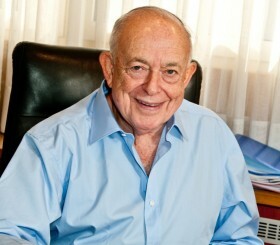 To me, there is absolutely no question that he was a genuine Israeli patriot. 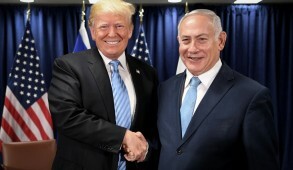 However despite his best intentions, the gamble failed, and as a consequence of this disastrous initiative much Israeli blood has and continues to be shed. Ironically the deal with the Palestinians was launched immediately after the first Iraqi war, just at a time when Arafat and the PLO had even been abandoned by the Arabs and were on the verge of total collapse. Today, as we continue to commemorate Rabin’s memory, we should feel outraged at the ruthless and cynical distortions employed by the far left and others who invoke his memory to justify their initiatives and seek to portray him, falsely, as having shared their delusional political views. The truth is that Rabin did not even bother to conceal his utter contempt for many of those who now have the gall to invoke his name. In fact, Rabin adamantly refused to make the concessions to the Palestinians and the Americans that were extended by our current “rightwing” Prime Minister. 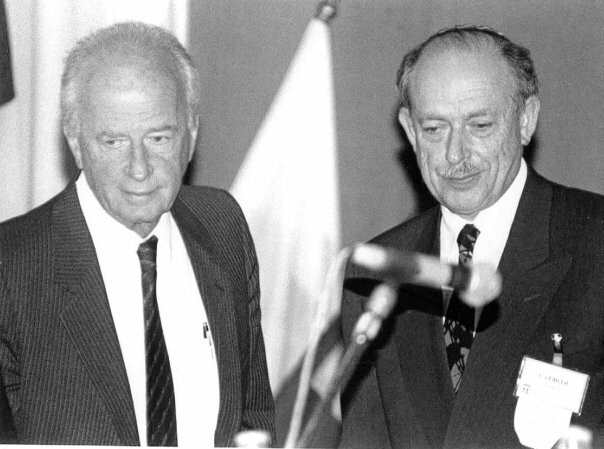 In his last Knesset speech on October 5, 1995, literally days prior to his assassination, Rabin was adamant that “we will not return to the June 1967 lines”. Furthermore, in relation to the settlements, he said: “We committed ourselves before the Knesset not to uproot a single settlement in the framework of the interim government and not to hinder building for natural growth”. And he repeatedly vowed that he would never agree to divide Jerusalem. Yet we now have the left and much of the media invoking Rabin as the leader promoting “peace” while condemning Netanyahu, who ironically, was willing to compromise on these issues. 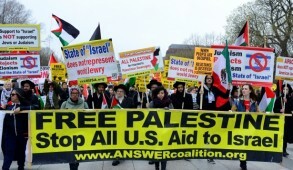 That applies also to Rabin’s resistance to American pressure. 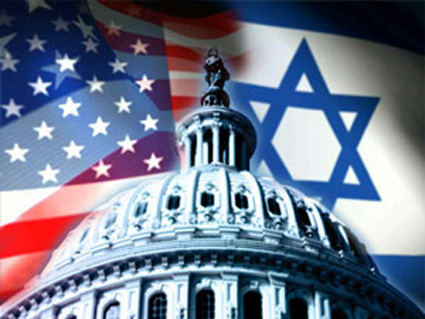 Unlike Netanyahu, Rabin did not indulge diplomatic niceties but when pressured he responded aggressively, reminding the Americans that Israel was a sovereign state and would not be dictated to by outside parties, even its ally the United States. When we commemorate our assassinated Prime Minister, we should not concentrate on his failure in relation to Oslo. Instead, we should relate to him as one of the last of the great labor Zionist leaders who served his country with distinction both as a military commander and a dedicated leader. 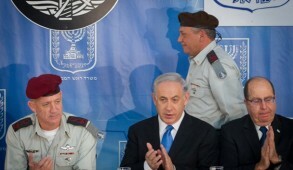 Had he lived, we can only speculate as to how he would have responded to PLO terror and intransigence. I believe that Rabin would soon have realized the extent of the duplicity of the Palestinians and reached the conclusion that their primary objective was to bring about our demise rather than creating their own independent state. Once he internalized that, I believe he would have adopted a much tougher stance against the Palestinians than his successors. His Yahrzeit should be commemorated in a manner designed to promote unity and harmony rather than being misrepresented to encourage division and rancor. That is how most Israelis would wish to honor the memory of Yitzhak Rabin.